HSE is carrying out farm visits. 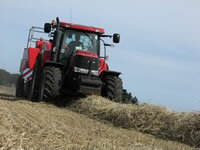 Some of you received invitations to attend recent Lantra events, entitled 'Preparing for a Farm Inspection'. This gave groups of farmers a forum to discuss issues and time to make any adjustments to practices. Do visit the HSE website for information to help prepare for inspections. If you would like to hold a staff update you can buy a Lantra online Farm Health & Safety course, details attached. This provides a prompt to issues for discussion. Call to book the course or if several of you are interested we can run an awareness raising session/half day at the BMR training office.